Here follows an old Soviet cover-up this time, of a perfect marble coffin filled with fluid, preserving a princess, found in a 70 M. deep coal seam in 1969, which like many other OOPARTS again refutes Darwinism. Just as in most other cases the government sent “men in black” to confiscate the evidence while many direct village witnesses were killed off as they wouldn’t be silent about it. Darwinism & its propaganda — the greatest mass deception humanity has successfully been deceived by– MUST –just as also free energy and water engines! — at all costs be maintained. 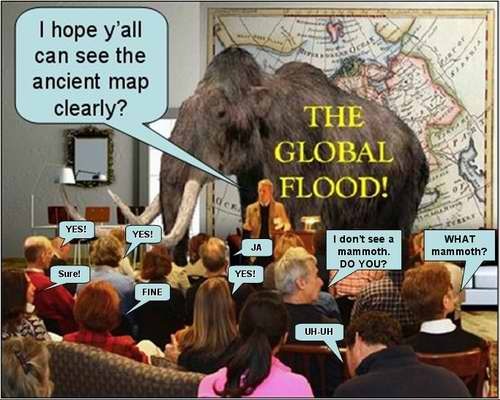 Whereas real history of the global Flood and the pre-Flood civilisation 700 nations spoke about, must be banned from the minds of all men, in order to maintain the joke that you descended from monkeys or primates. 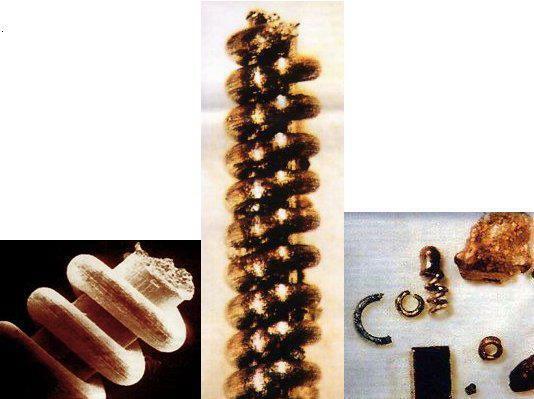 300-Ml-year-Old High-Tech Pre-Flood Tooth Wheel Found in 4.500 Year Old Russian Coal Blamed on UFO? As recently reported by ‘The Voice of Russia’, a high-tech 98 % aluminum 2 % magnesium tooth wheel was discovered in a “300 million year old” coal layer. Because this is quite impossible in terms of Evolution that forbids coal forming within human history, “scientists” weaseled themselves out of the dilemma by calling it–get ready for this one! — a UFO tooth wheel! Hilarious! They rather turn themselves into prating fools than to suffer shame for disloyalty to the imposed watchword of the pernicious paradigm that has paralysed true science ever-since its sorry conception 150 years ago. This is the most comical piece of Neo-Darwinist cover-up I ever saw since Richard Dawkins started to make room for the notion that “Human Evolution” may actually have been started OFF-planet by Aliens, thus conveniently relocating the problem of non-existent beneficial mutations to impossible-to-verify Outer Space! A rather sneaky way of dealing with this untenable theory! This fancy tooth wheel is yet another ragingly spectacular find in a series of OOPARTS (Out of place artifacts) discovered in the rock- and coal-layers below our feet which, according to the theory of Evolution, are purportedly hundreds of million years old! Mainstream Media and Academia were not bought to allow departure from the politically correct yet false paradigm, but rather to promote it, and thus have to come up with such a preposterous notion that the tooth-wheel must have belonged to a 300 million year old U-F-O! “Once upon an eon…to be precise 312 million years ago… a UFO from a far away alien star system on a haphazard visit to Earth, crashed and exploded in the hostile atmosphere of Earth scattering a tooth wheel into the wildly vegetated swamps growing along the primordial lake, which then amazingly enough happened to be immediately covered by the ash of a volcanic explosion at that very moment,[otherwise no fossilisation!] which instantly buried and compacted 200 M. plant-matter into 2 M. coal! 15 Sunken Submerged Bronze Age Cities in Pictures – Updated! WHY are there sunken Bronze Age megaliths, towns, ruins, roads, pillars, found all over the world under the ocean? 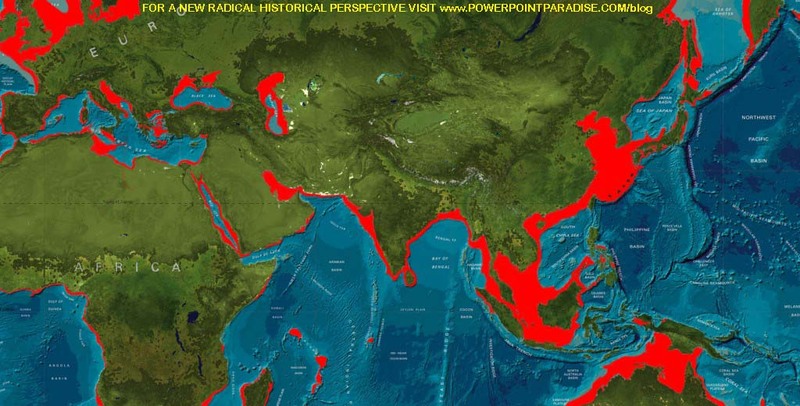 Because around 1500-1400 BC the REAL Ice Age ended and there was a 125 meter (300 ft) rise in Ocean level, which once in recorded History submerged many coastlines plus its cities, streets, building, pillars, temples, along with it. Below you find many pictures of fifteen sunken locations. This map below shows the sunken coast lands that were once land, in red. Mystery micro-artefacts stun modern scientists. Ante Diluvial High Tech? Gold prospectors in the Ural Mountains area of Russia are finding unusual, spiral-shaped artefacts made from copper, tungsten and molybdenum. In case you didn’t know, today tungsten is used for hardening special steels and for the filaments of light bulbs; molybdenum is used for hardening steel and giving anti-corrosion properties to tools. But get this. The size of these artefacts range from 1.2 inches (3 cm) down to an incredible 0.003 millimetres. That’s right! Exact measurements (using electronic microscopes) show that these tiny artefacts are constructed according to the “phi proportion” (also known as the “golden section”). You’re probably familiar with the “phi proportion”. In ancient times this fraction was the iron rule in geometry and architecture. These microscopically tiny artefacts are the product of some inexplicable and highly advanced technology from the past.